Just like the changing seasons, my artwork continues to evolve in technique as well as how it is displayed. This often allows my collectors to select art from my groupings to create their own configurations depending on their wall space. 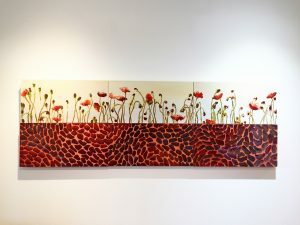 This exhibit also depicts the changing seasons through several pieces…art that continually transforms!